All governing bodies are legally constituted and have an Instrument of Government, which sets out their size and representation. Our governing body is broadly representative of our main stakeholders: the community, the parents, the staff, the local authority, and the church. I have been a Governor at St John's for 25 years. During that time I have been Chair of Governors for 7 years and recently took on that role again. Both my children attended the School in the late 1980s/early 90s. St John's has always been a caring community and I am proud to be part of the team taking it forward. I’ve been a foundation governor at St John’s since October 2016. I have a son in Year 3, and a daughter in Little Acorns. As a parent, I am passionate about helping St John’s continue to improve and develop. I’m also a member of the school PTA, and am really proud to be part of the school community. Though not a trained teacher I have, in the past taught English, French, German and some RE. Aside from my designated responsibilities at St John's I take a great interest in music and drama and endeavour to attend most performances. I come in regularly to listen to the children read. 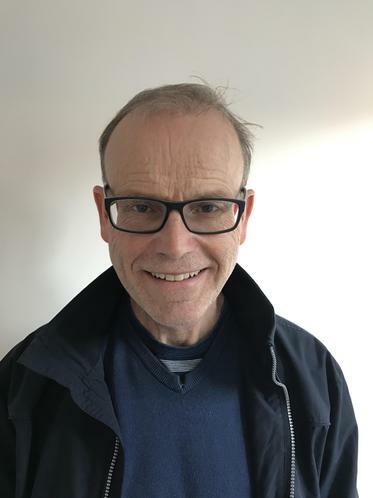 I am parish priest of the local Catholic church of St James, which has a special relationship with St John’s, and a stake in supporting the school as a growing family of love, faith and learning in the community. My name is Claire Webber and I am one of two Staff Governors. I have worked at St Johns' School for 13 years, firstly as as a Key Stage 1 teacher, and now in my role as Early Years and Year 1 Teacher, Early Years Leader and the Assistant Head Teacher. St John's holds a special place in my heart. I choose to work at St John's because I feel we have an amazing school family,where staff, parents and governors all work together to provide first class education and care for our children's individual needs and this is at the heart of all that we do. I feel honored to be a part of the St John's family. I started working at St John's in 2006 as a Newly Qualified Teacher teaching Year 5. Since then I have held various roles including teaching year 6 for 8 years; leading Maths across the school having gained the Masters qualification of Primary Maths Specialist Teacher; being Assessment Co-ordinator, Deputy Safeguarding Officer and Assistant Headteacher. I was appointed Interim Headteacher in February 2017 and permanent Headteacher in December 2018. I am relishing the role of leading the school forward and raising aspirations and outcomes for the children at St John's. I have been a Foundation Governor since September 2018. I have two children at St John’s; a daughter in Year 4 and a son in Big Acorns. St John’s has been a part of my family for a long time; I attended the school along with my siblings in the 80’s; as did my wider family in the 60’s & 70’s & 90’s. I am proud to be part of the St John’s community where I can help ensure a secure, safe and happy place for the children to learn and develop. "I expressed interest in becoming a Foundation Governor in July 2018 as I felt passionately that a Catholic education should uphold the directives of the diocese, responding to the Catholic community as a whole, and was formally appointed in September 2018. My two children are members of the St John's School family and we are integral members of St James' Church family. I'm proud to be a part of the combined loving and nurturing parish and school communities where all children grow and learn in God's love through deep rooted gospel values. Beside my duties at St John's, I'm a Sports Therapist and Personal Trainer with a love of rugby and powerlifting. My work's main focus is to empower women to build confidence and wellbeing in their everyday life through physical activity and social interaction; something that I feel is a transferable skill to our Catholic community as a whole." I have worked at St Johns' School for over 2 years, firstly as as a PA to the Headteacher, and now in my role as School Administrator and Clerk to Governor's. I began teaching at St John's in September 2017. I am currently the Year 6 teacher; the English leader and one of the two staff governors. St John's is a great place to work and the staff and children provide such a welcoming environment. I am looking forward to helping to raise the attainment and widening the opportunities available for the young people here. Clerk to governors - Mrs Kendall Heard. Email kheard@stjohnstiverton.co.uk or contact the school office. Parent and staff governors are elected onto the governing body; the foundation governors are appointed from outside the governing body and community governors are appointed by the governing body itself. In addition the governing body may also appoint associate members to support its work. If you are interested in joining our Governing Body please contact the Clerk for information on current vacancies.